If you have not noticed it as of yet…we are already in the political season for 2016 and that is saying it mildly. For many it seems that we just finished the last cycle only a few months ago. And with each passing day it appears that someone is always running for some public office at the flip of a coin, drop of a hat or when an opportunity just comes available. You get the feeling real quick that something is missing in the process that people are more interested in running for or remaining in public office than getting things done for the people. I know you just can’t wait to start receiving all that promotional material including handouts, church fans and donation pledge cards. Besides that, you will begin seeing ads on TV, yard signs, billboards, featured personal news stories and the debates. And let’s not forget about being invited to attend town hall meetings, listening sessions, book signings, fund raising dinners, and few special rallies to get out the vote. From what I have seen and heard already, this upcoming election season will be something for the record books. I don’t mean just in terms of how many people will be running for some kind of public office, but also in terms of how much money will be spent by each candidate. The totals will be just “staggering” and “out the roof” for many. To some observers, the money that is going to be spent would be enough to fund a middle size school district for an entire year or pay for a graduating high school class of 100 to attend college for four years. It will be “off the chain” and we all see it coming. However, we must remember that all elections depend on whether or not enough voters come out to cast a vote for a particular candidate or on an issue that affects them. The voter is the only person that really matters during each “political season.” It is up to voters to make sure their voices are heard on the issues. Of course we have to understand that all elections are more about “local” issues than statewide or national. So today, it’s “Game On” for your vote for it really does count. What do you think? 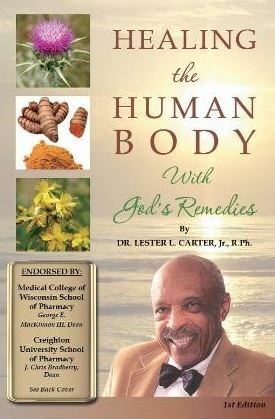 Dr. Andrew Calhoun, can be contacted at andrewiiicalhoun@gmail.com, and Facebook. You can hear Dr. Calhoun each Sunday at Grace Fellowship Church, 3879 N. Port Washington Rd. Milwaukee 414-688-4964. 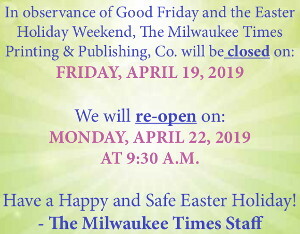 The opinions expressed in this editorial are those of the writer and not of the Milwaukee Times Weekly Newspaper or NCON Communication, its staff or management. 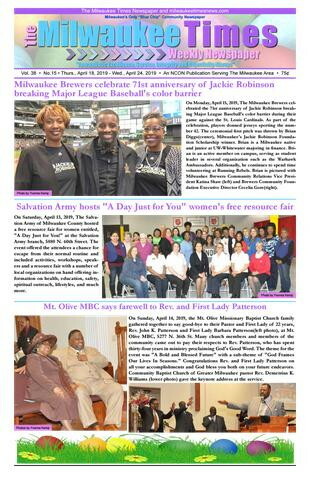 “Rebuilding Our Community” is a weekly column exclusive to the Milwaukee Times Weekly Newspaper.